You are warmly welcome on board from 16:00. During dinner, we set sail and leave Arnhem behind us. In the evening, you can get acquainted with your fellow passengers in the lounge as we sail on to Cologne. We will have moored in Cologne during lunch. You have the whole afternoon to visit this beautiful bustling city full of sights. Whether you choose to visit the Cologne Cathedral or send you afternoon in one of the many museums, time will fly. During the course of the evening, whilst enjoying a glass of Sekt (sparkling wine) on the sun deck, we’ll set sail towards Bonn. There are various monuments to see in the centre of Bonn. One such monument stands on the market square, the pastel-coloured Rathaus (Town Hall) built in Rococo style. In the vicinity of the market you will find a number of beautiful old churches. And in the house where Ludwig van Beethoven was born, now a museum, you will find the largest Beethoven collection in the world. Do you wish to get acquainted with all of the beautiful sights of this city? Then join us for a city walking tour(*). We sail on to Andernach in the afternoon. The backdrop along the river slowly changes and the first vineyards appear on the horizon. 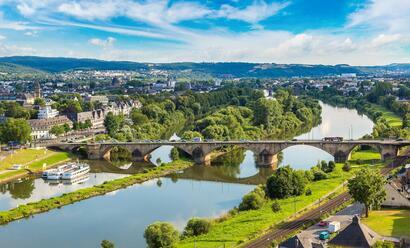 Early in the morning we arrive in Koblenz, where we will moor near the Deutsches Eck in the mouth of the Moselle. 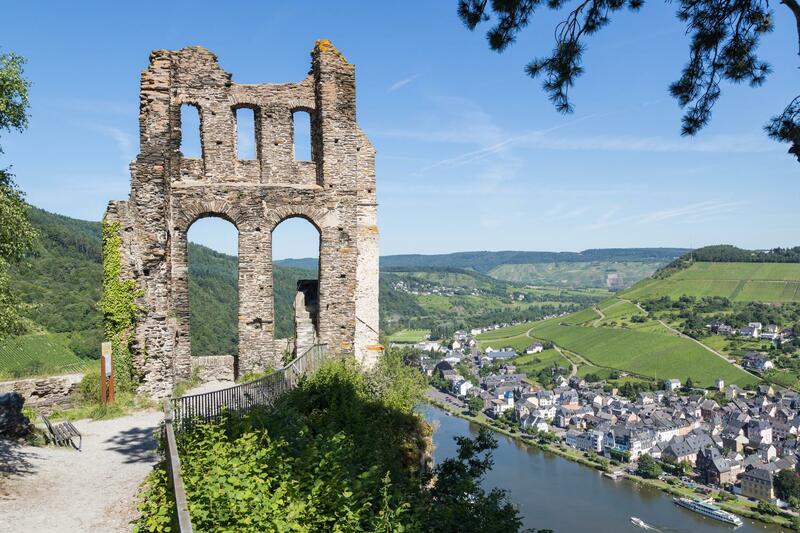 Here you will find lovely walking promenades on the banks of the Rhine and Moselle. Near Koblenz, we can see the Ehrenbreitstein Fortress opposite us; it’s one of the most impressive forts along the Rhine. 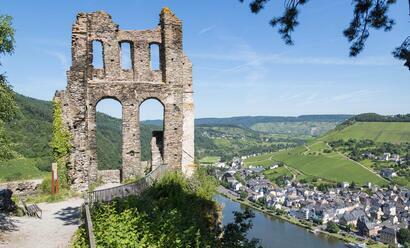 In the afternoon, we follow the Moselle all the way to what is probably the most famous town on this river: Cochem. Once we have arrived, the first thing you will notice is the wonderfully landscaped walking promenade. There is also a lovely old town centre with timber-framed houses, quaint shops and friendly cafes. The little city train is ready to take you for a short tour(*) to the lovely city centre. 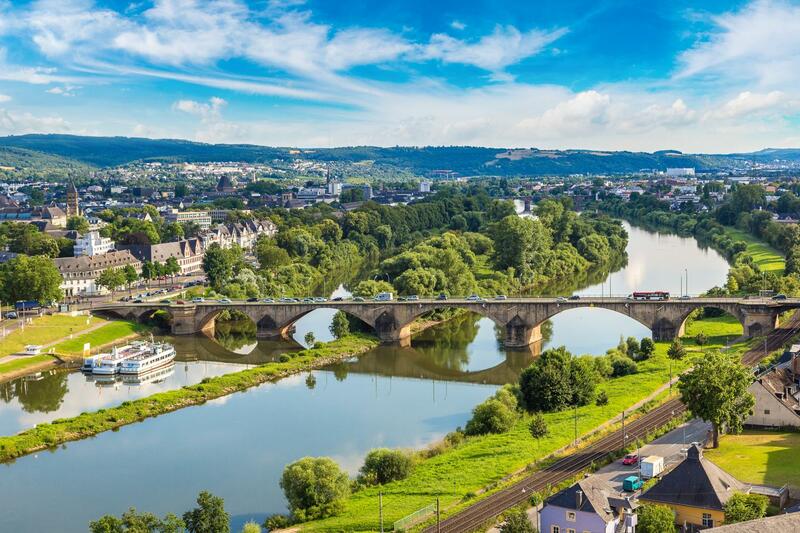 We continue our cruise on the enchanting Moselle. From now on we will pass many locks and bridges on the Moselle and later on the Saar. It sometimes means we will have to wait to pass through a lock. Depending on the water level, we may have to lower the sundeck canopy to sail under the low bridges. 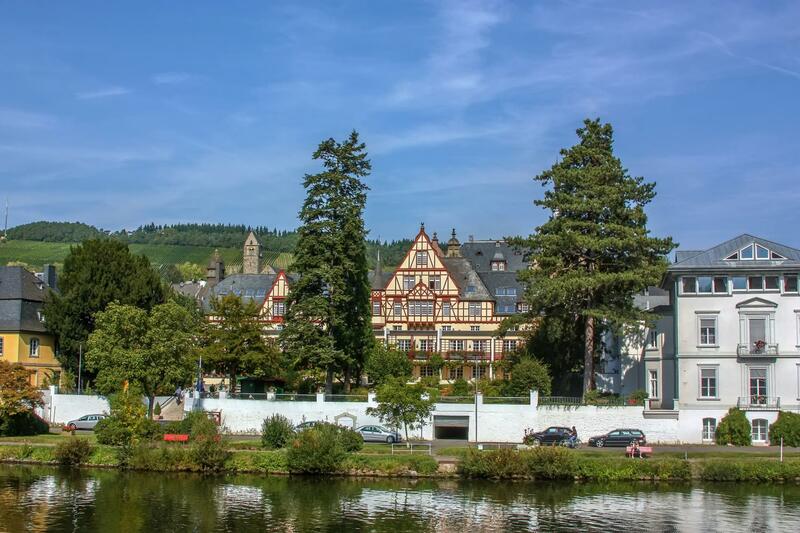 After countless bends and picturesque villages, we will reach Traben-Trarbach by the end of the afternoon. Around 1900, this city was the most important centre of the wine trade in Europe after Bordeaux. 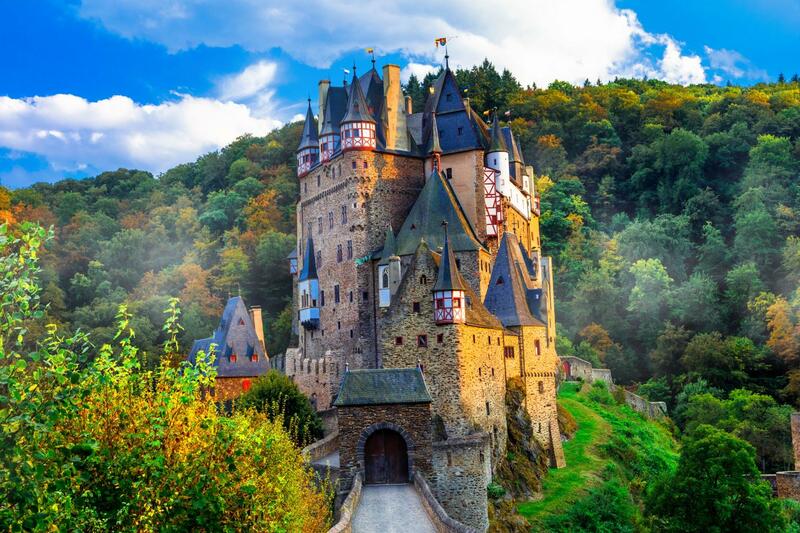 This enchanting location is still known for its many wine cellars and wine farmers. 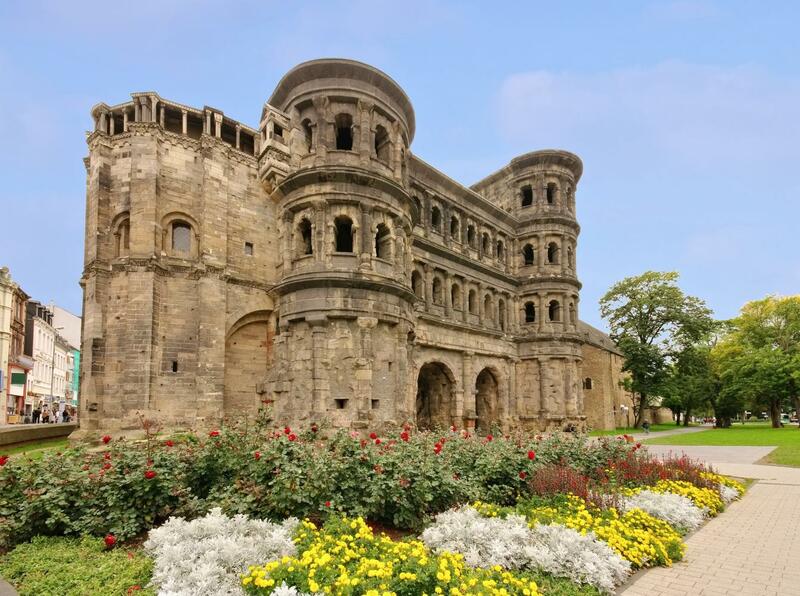 Trier, the oldest city in Germany, is on the itinerary today. After lunch the busses (*) will be ready to take you there. 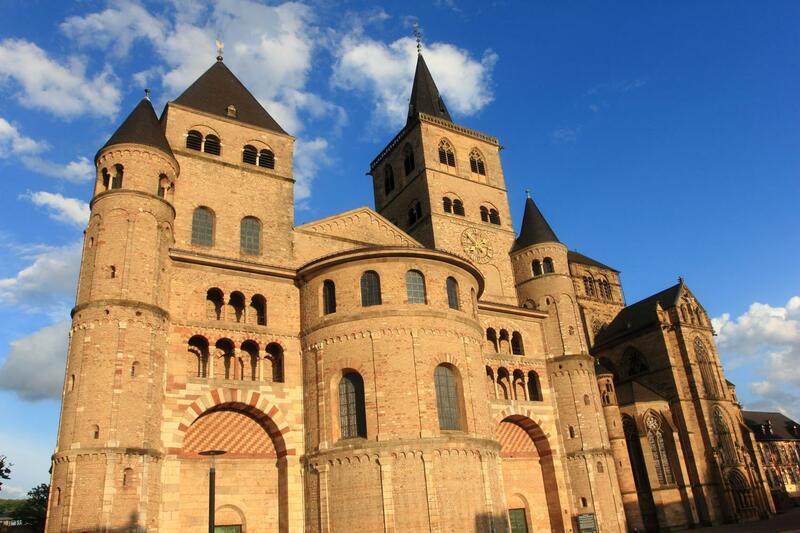 There are many sights from the time when Trier was one of the emperor’s residences in the Western Roman Empire. The old Roman city gate Porta Nigra is definitely worth seeing. Besides all the antiquity, Trier has ample possibilities for taking a leisurely stroll to look at the shops or to relax on a pavement café. The Saar, the third river on our trip, makes its entrance today. The narrow Saarschleife will leave an unforgettable impression on you. There are many remnants of the past to be found in the fortified city of Saarlouis. You will find many cafes, bistros and restaurants in the car-free Altstadt (Old Town). Early in the morning we set sail for Saarburg, the city of wine and bell founders. The medieval Saarburg has a romantic inner city and it’s often called the ‘Venice of Germany’ due to the small river with a waterfall in the centre of the city. A little train will take you on a short tour(*) to the picturesque centre. A relaxed way to enjoy this beautiful city. 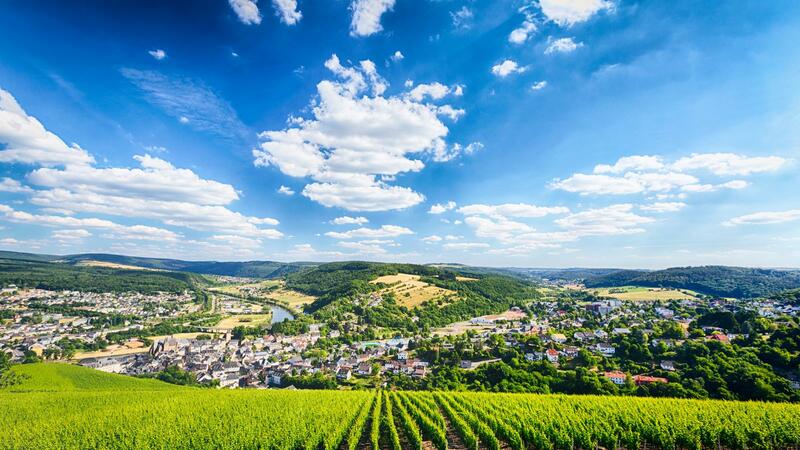 We can once again fully enjoy the beautiful Moselle Valley. We arrive in Bernkastel-Keus at the end of the afternoon. Here you will find narrow cobbled-streets, a lovely market, St Michael’s Fountain and a pink and white city hall in Renaissance style. Burg Landshut (Landshut Castle) towers high above the city. Early in the morning we leave we Bernkastel-Keus behind us and set course for Zell. This capital city of the Zeller Hamm wine region is situated on the narrow part of a remarkably even bow of the Moselle. Enjoy a good glass of Zeller Schwarze Katz (Black Cat wine) in one of the wine bars. There is even a monument to the Black Cat on the market square. Or walk through the centre of Zeil with its small boutiques and lovely timber-framed houses. Before we arrive in Alken for a brief stop, we can already see Thurant Castle dominating the mountain top. In the afternoon, you have the option of taking a bus excursion(*) through the lovely region. Once all the excursion participants are back on board, the ship sails further to Koblenz. In the evening, you have the time to take a walk through this lovely city. We arrive in Düsseldorf during lunch and you have the whole afternoon to explore this Bustling metropolis with cosy Alstatadt (old town). A bus tour(*) through the city you’ll show you the highlights. Tonight you can enjoy the Farewell Dinner followed by a festive evening in the lounge. This wonderful cruise must also come to an end. To conclude it in style, a wonderful Champagne brunch will be waiting for you in the course of the morning. We arrive back in Arnhem at 12:00 and we say our goodbyes.